Isn’t he cute? I love him so much, I had to get one for myself. Being a Mom, we could all use something to freshen the air, right? I feel that one of our blessed readers deserves this as a blogiversary gift! This giveaway will be running until 12:01 am on August 17th, and you’ll have a chance to come back every day and gain more entries. How cool is that? 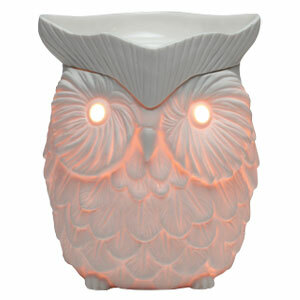 Oh, forgot to mention… The winner will get to choose a Scentsy bar of their choice out of the current catalog to go with their warmer. Even better, right? So get those entries in! 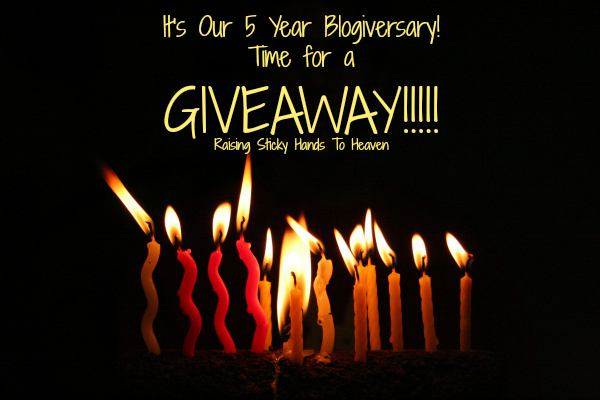 Happy Blogiversary to you!! !